I know a couple of games that have sold well recently; Minecraft 360 and Skylanders. One involves creating immense worlds, the other buying toys and bringing them into your game. No one ever excused Disney of not being able to make a buck or two themselves, so they have combined these two concepts in Disney Infinity's Toy Box Mode. The latest trailer for the game shows us how you go about building a Disney World of your own. Disney Infinity is due out on 18th August across 360, PS3 and both Wii types and will allow 2 players to co-op locally or 4 online. 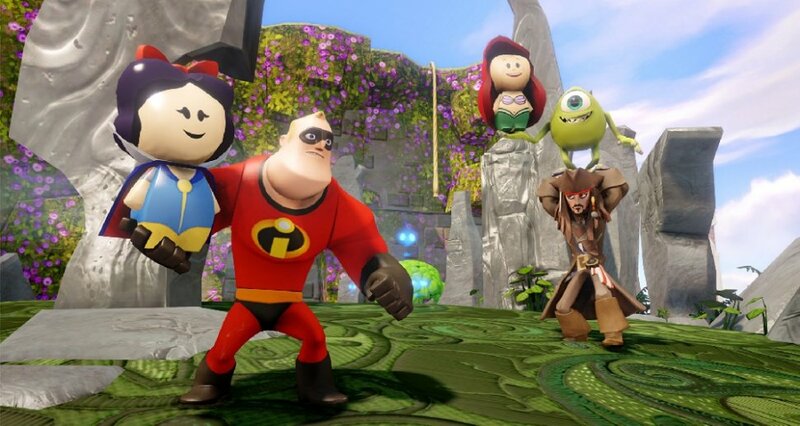 Whilst each set of characters has their own sandbox to play in, the Toy Box Mode allows you to bring all the different elements of the Disney Universe together and mash them up like the world’s most expensive Play-Doh. You can check out the Co-Optimus hands on with game here. Page created in 0.2991 seconds.